Why my home didn't sell! You’ve been trying to sell your home and haven’t got the results you wanted. 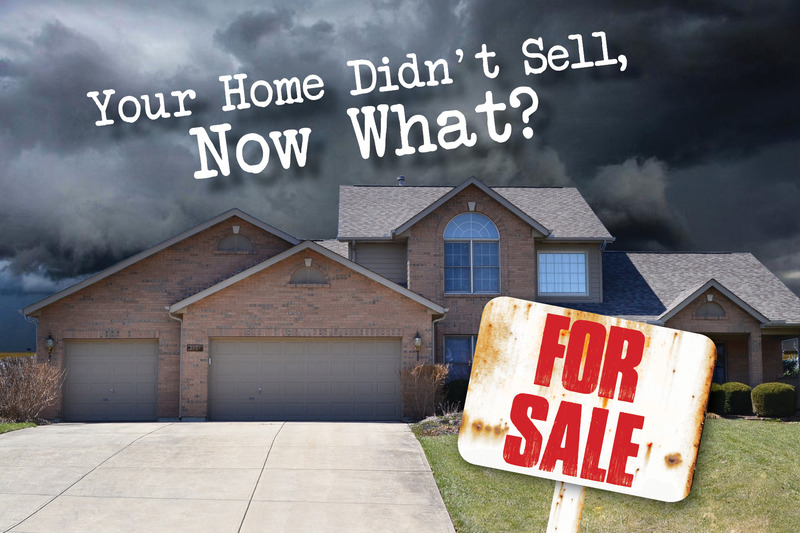 ⦁ Why didn’t my home sell? ⦁ Was my home priced right? ⦁ How can I make my home more attractive to potential buyers? ⦁ How can I sell my home and move on? ⦁ Will my home ever sell? To make it worse, your Realtor has no real answers other than “It’s a Tough Market” or “The Economy Just Isn’t What it Used to Be”. You understand all of that, but at the same time you’ve seen other homes in your neighborhood come on the market and sell, so there are buyers buying. You just want someone to look you in the eye and give you a believable reason why your home didn’t sell the first time. You’ll see all sorts of articles that list 10, sometimes 20 reasons why your home didn’t sell, but if you dig a little deeper, you’ll find all of the other reasons fall into these four. Every home will sell at a market appropriate price. Who sets the price? A willing buyer. Not the seller (you), not your Realtor, not what your neighbor sold their home for, not what you paid plus what you put into repairs, not what the tax assessor says its worth and not what you owe your bank. However you slice it, a seller can ask for any number they want, but ultimately it comes down to the number a willing buyer will pay a willing seller in this market at this point in time. Does that mean you have to sell it to them at this price? Most certainly not (notice we said willing seller). You have a choice and that includes not selling your home. How Did You Set Your Home’s Price? ⦁ Did you review a Qualified Home Evaluation with your Realtor? ⦁ Did you view similar homes in your neighborhood with your Realtor so you could check out your competition? ⦁ Did your Realtor keep you apprised of market conditions? ⦁ Did you receive a weekly report on market activity in your neighborhood? ⦁ Was your home priced right during the first 12 days it was on the market? Reaching today’s home buyers may be much different than it was when you purchased your home. The Internet has given us a new way to reach prospective buyers. But, we can’t forget about traditional methods of marketing either. With 99% of buyers looking online, your home needs to have a major presence. Simply entering your home into the MLS is not enough. Buyers are looking at hundreds of different websites and your home needs to be everywhere they’re looking. Our listings are advertised all over the internet and social media, so you’re home is sure to be found anywhere a buyer is looking. Factual inaccuracy’s – or human error – is something we see more than we’d like. If your home is marketed as a 4 bedroom, 4 bathroom when it’s really a 6 bedroom, 4 bathroom it is not going to be caught in the searches of buyers looking for a 6 bedroom home. This sounds like a no brainer, but you’d be surprised how often we see errors like this in listings. We check and double check, then show you the listing for final approval to make sure your home is accurately presented to the market. In today’s market, there is no room for error. No home is the same – and no marketing program is exactly identical either. We carefully craft a marketing program that will expose your home to every buyer, no matter where they’re looking, and get your home sold…fast! Homes that sell in today’s market are 10’s. How can you make your home a 10? Hint: It doesn’t necessarily mean emptying your life savings into your home. There are several low cost ways to improve the condition of your home. Things from painting your front door, adding some flowers to your garden, and changing your door mats can drastically improve the look of your home. Why is Your Home’s Condition So Important? According to the 2014 NAR Study of Buyers and Sellers, buyers look at 15 homes before they choose one. From experience, we know buyers comparison shop and you want your home to stand out as the best value of every home on the market. Buyers have a hard time visualizing how they will live in your home. In fact, only 10% of buyers can visualize a home’s potential. We will assess your home’s condition and make recommendations on improvements. If at all possible, make your home as close to move-in condition as you can, buyers are willing to spend more money on a home they perceive as move-in ready. Paying for repairs and upgrades can be very costly for buyers and will take away from the money they have for a down payment and/or closing costs. But, if the repairs and upgrades have already been completed, they can finance these upgrades over 30 years and only change their monthly debt by a few dollars. Buyers are willing to pay more for a home in move-in condition. In What Condition Was Your Home? ⦁ Was your home dressed to meet the market? ⦁ Did you look at your home objectively and through a buyers eyes? ⦁ What did you do to make your home a 10? A buyer will not buy a home that they can’t see. As a seller, you need to make it as easy as possible to show your home. Now, we’re not talking allowing them to drop in without notice, but allowing agents to bring their buyers by with a few hours notice is ideal. The more accessible you can make your home, the more showings you’ll get and the more buyers will be exposed to your home. A buyer won’t buy a home they can’t see. In an ideal world, an agent would bring their buyer back at your convenience, but more often than not, it won’t happen. Many buyers are from out of town, so they have limited time to see homes and they have choices. By making it as easy as possible to see your home the first time, you won’t have to wonder whether that buyer would have been the one. Having your home open once a week for a few hours is not enough to expose it to the most number of buyers. Not everyone is available on Sunday afternoons and others don’t want to be bothered fighting people to look at your home. They won’t be able to make a connection with your home, or speak freely with their agent, when 20 other people are there. Which brings me to another point – do everything you can to be away from your home when an agent is showing it. Buyers won’t be as willing to explore your home if you are hovering over them. Give them their space, allow them to see themselves in your home, not you living in your home. How Accessible was Your Home? ⦁ Did you make it easy to show your home? ⦁ Did you have a lock box or did someone have to meet the agent with a key? ⦁ Did you give buyers the space they needed to explore your home? 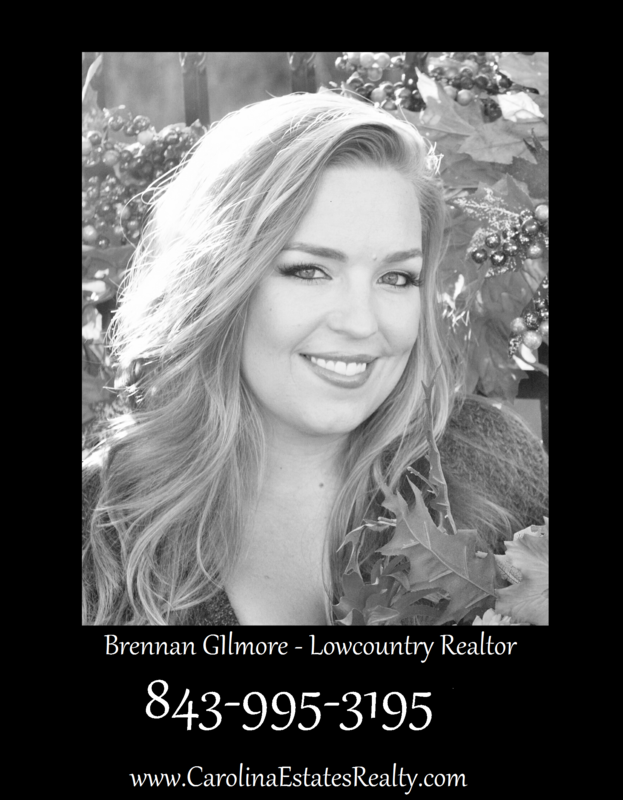 *If you want to discuss why you’re specific home didn’t sell, give me a call at (843)995-3195. I would love to hear your story and give you some ideas to help get your home sold.